Rock N Gold Creations’ Jewelry Repair Specialists have been serving the Greater San Diego Area for over 30 years. 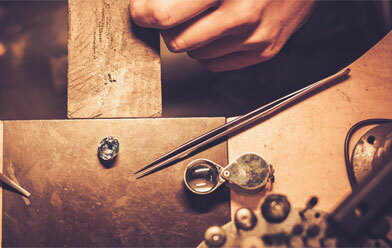 Our bench jewelers are highly trained for high quality precision workmanship. Rock N Gold Creations takes great pride in maintaining a high level of expectation on the quality of work provided for our clients. Rock N Gold Creations uses the latest laser technology for jewelry repair and manufacturing. Laser technology opened the doors for jewelry restoration, repair, and jewelry manufacturing work previously thought impossible. 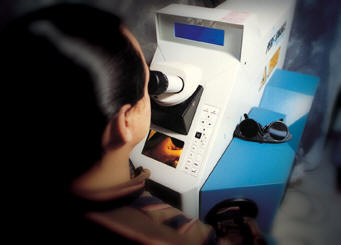 Unlike traditional jewelry repair methods that require heating large areas, the computer controlled laser beam pinpoints heat at precisely where metals are to be joined on the jewelry piece. This controllable heat accuracy effectively eliminates the normal risk to heat-sensitive gemstones. Nothing beats laser welding for platinum work. Platinum is a metal that must be welded, either by torch or by laser, however, torch welding heats the entire piece including gemstones and all. That can lead to problems with visible sizing joints, melted links, burnt stones, and brittle prongs. Laser welding technology, on the other hand, puts the heat where it’s needed, without changing the structural integrity of your valued piece. Rock N Gold Creations services your fine jewelry throughout the Greater San Diego area.